Jake Swift runs the ball up the middle in Miller’s upset against Escalante on Thursday at Durango High School. Escalante’s Nate Messier runs through the Miller defense with blocks provided by teammate Ashton Harriso in Miller’s upset against Escalante on Thursday at Durango High School. Miller’s William Knight (58) clears a path through the Escalante defense for Jake Swift (1) after a hand off from Miller QB Jordan Stanley in Miller’s upset against Escalante on Thursday at Durango High School. The Miller offense opens up a gap for Aca Dennison (13) to break through for a TD run in Miller ‘s upset against Escalante on Thursday at Durango High School. Miller Middle school’s Jordan Stanley escapes the reach of Escalante’s Cole Matava after intercepting a pass in Miller’s upset against Escalante on Thursday at Durango High School. 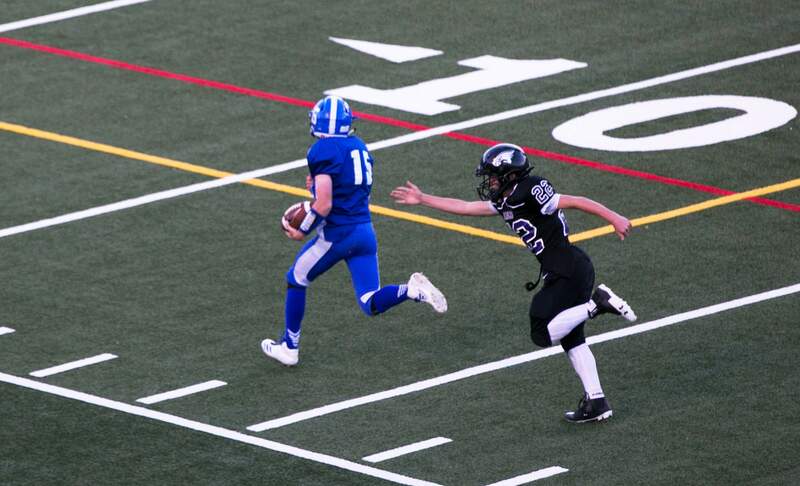 The Miller Middle School Angels claimed a big win against crosstown rival Escalante Middle School on Thursday night at the Durango High School stadium. Players from the two teams will reunite as teammates at DHS when they reach high school. They spend two years at their respective middle schools after growing up playing together int he Young America Football League. Miller earned a 39-8 victory on Thursday night. 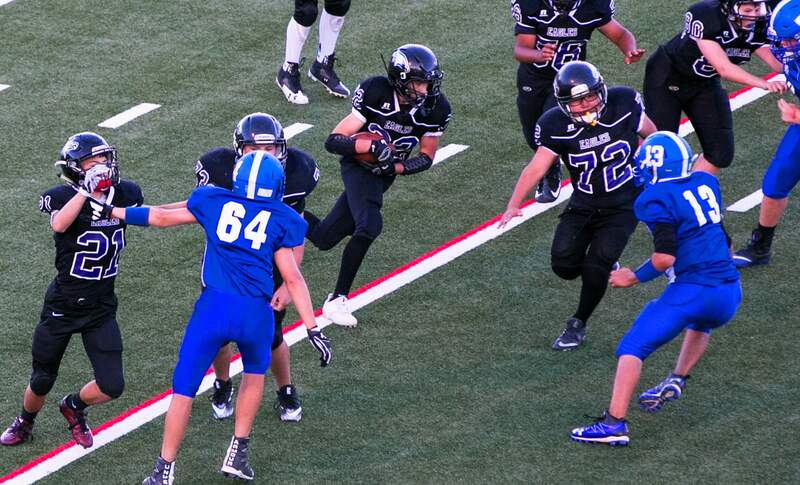 Angel Olivas led the Angels with three touchdowns. 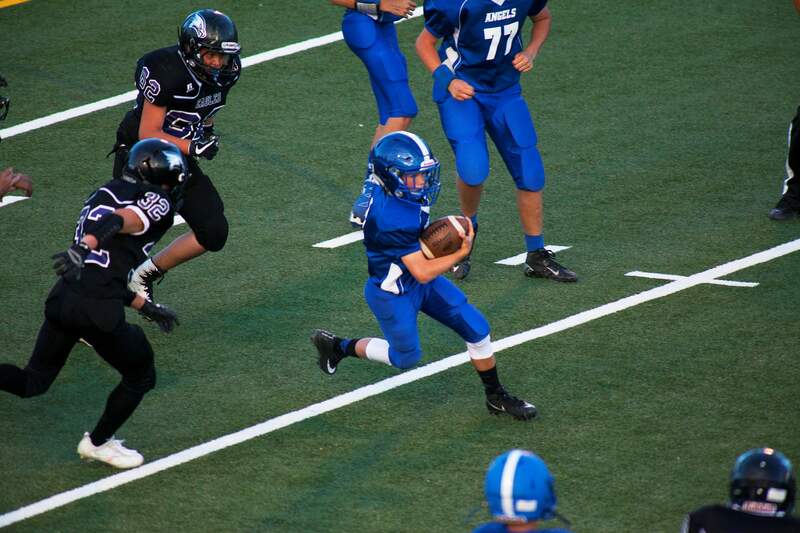 He returned a kick for a score, recovered a fumble for another and added a touchdown reception. Aca Dennison broke free on a 70-yard TD run for the Angels, and Jordan Stanley scored on an interception return. Carols Ortiz also had a touchdown reception, and Chase Robertson hauled in two interceptions for the defense. 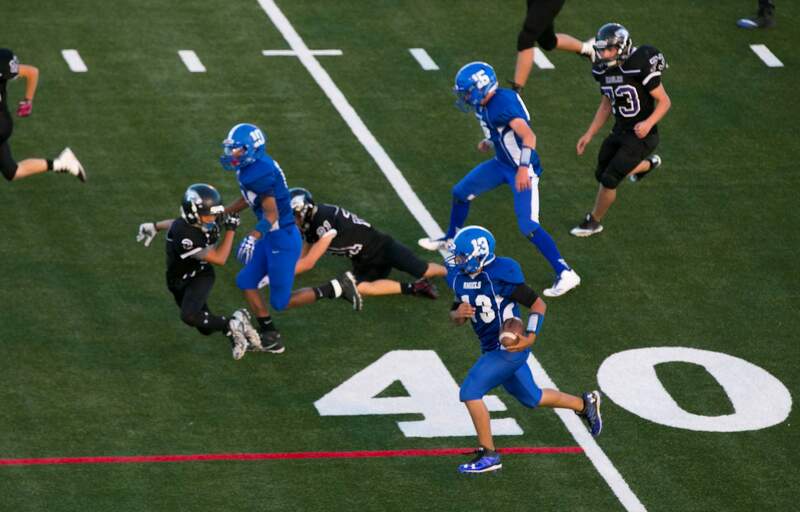 Escalante received a 1-yard TD run from Cole Matava. In the B-Team game, the two teams tied 20-20. 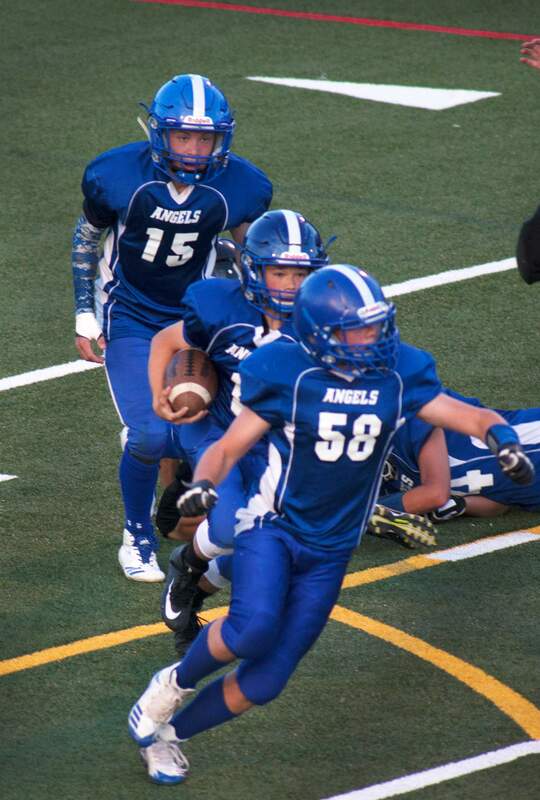 Jeric Baruch had two touchdown runs for Miller, and James Storm added another for the Angels.